A buttery croissant topped with chicken salad and dijonnaise. 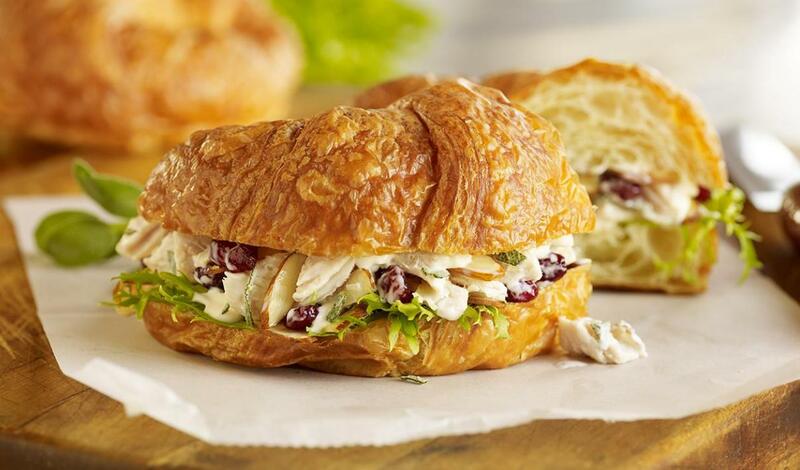 Add prepared Chicken Salad on croissants and top with lettuce leaves and tomato slices. Serve immediately.